mechanical gaming keyboards with Cherry MX Red or Brown switch options. “Our range of gaming gear makes even a casual gamer feel like a pro. includes an alloy metal frame for durability. and storage bag, the compact keyboard is perfect for gamers on the go. release can be found here. product and is subject to change. 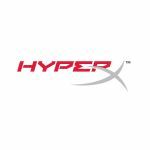 HyperX gaming gear will be displayed at the 2017 International CES, Jan.
– Available in 2H17; pricing to be announced. may be the property of their respective titleholders.